Hiring bias is subtle, but it can cause hiring teams to skip good candidates, waste time on bad applicants, and miss diversity and inclusion goals. Biases are mental shortcuts that we use to make a complex world easier to navigate, but at the cost of possible prejudice that could result in excluding already marginalized candidates. Though no company wants to admit its hiring team holds prejudiced views, the data about gender, race, sexuality, disability, and motherhood discrimination say otherwise. One study, for instance, showed that hiring discrimination against African Americans hasn’t decreased since 1989 (Quillian, 2017). Overcoming hiring bias requires a holistic, critical analysis of the hiring process, the team itself, and every interviewer along the way. We are naturally drawn to those who resemble us. For example, to determine an applicant’s likability, many interviewers use some variation of the beer test: “Could I see myself getting a drink with this person?” But this imagined test of camaraderie — called the similarity bias — has no bearing on the quality of applicants, the work they can do, or how well their personality may mesh with the rest of the team. The similarity bias can arise early in the hiring process. Before posting an open position to job boards or your company’s website, ensure the language doesn’t naturally turn anyone away. Use gender-neutral job titles and pronouns in role descriptions. And because research shows that candidates from minority groups can more than double their chances of success by submitting resumes with names that make them appear to be white, consider using a blind resume review by removing things that could evoke your similarity bias, like names, addresses, college names, and graduation dates, from resumes before reviewing them. We have a tendency to search exclusively for information that aligns with, supports, or otherwise confirms what we already think. In the context of hiring, this confirmation bias can lead interviewers to support preconceptions they made during the resume review or previous interview stages. For example, if an applicant’s resume lists a stunning project, interviewers might ask questions that help prove this experience makes the applicant an ideal candidate. If an applicant stumbles and stutters during the interview, interviewers might instead search for evidence that proves the candidate isn’t good enough. Ensure that each candidate gets an equal chance to succeed by using structured interviews that base questions on the skills a role needs, rather than the quirks of the participants. Without this structure, interviewers could be more likely to let beliefs steer their questions and responses. After meeting a new person, we naturally make assumptions based on what we notice right away. We overemphasize one characteristic, attributing a “halo” or “horns” depending on what we perceive to be good or bad. For instance, research shows that overweight people, especially women, receive fewer job offers, get lower salaries, and in general, face the perception that they are more lazy and incompetent than their peers (Flint, 2016). The horn, in this case, hurts an applicant’s chances due to irrelevant, but powerful, perceptions. To mitigate the halo/horns effect, hiring teams should make it a habit to not just doubt first impressions, but build that doubt into their hiring processes. Startups often conduct interviews in a freewheeling, improvisatory manner, but that kind of process can unconsciously bring bias into the equation. During the interview process itself, structured interviews—where you ask each candidate the same questions in the same order—will help ensure that you evaluate each candidate equally. If you’ve ever sat through a bad movie just because you paid good money for your ticket, popcorn, and soda, then you’ve encountered the sunk cost fallacy. This is when you proceed with a commitment because you’re too invested in its completion to walk away. The hiring process is particularly at risk of encountering the sunk cost fallacy as it often requires great amounts of investment from many people—not least of which is the time of senior members of the team tasked with evaluating potential hires. Because of the time invested in hiring, teams can be tempted to ignore signs that a candidate isn’t right for a position if these red flags are raised toward the end of the hiring process. After all that work, it may feel necessary to hire the person instead of admitting they’re not right for the job. Interviewers concerned about the sunk cost fallacy can establish decision points that trigger reevaluation once certain problems arise. If a candidate’s reference doesn’t offer a good recommendation, for example, hiring teams might want to pause and reexamine the candidate. Externalizing these decisions can help interviewers ignore sunk cost and focus on goals. The popular saying, “If all you have is a hammer, everything looks like a nail,“ is also known as the law of the instrument bias. If people only have one tool at their disposal, they’re likely to see the world through that tool. The useful tool that hiring teams are most likely to see the world through? Their applicant tracking system. If it doesn’t offer the types of customizations your team needs, like the ability to customize hiring stages, you may end up treating applicants too similarly across different roles. Neither software engineers nor marketers, for example, will succeed if the hiring process treats them the same. 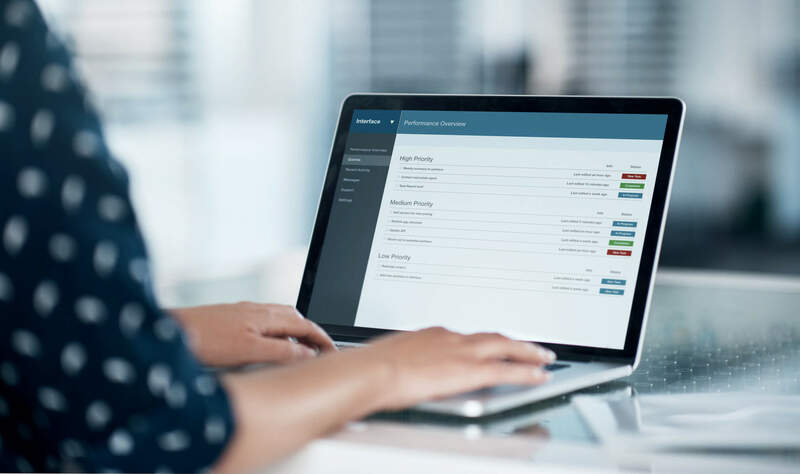 Successful hiring teams integrate their applicant tracking system carefully with best practices to ensure that the tool serves the team, not the other way around. As humans, we all want to fit in with the group. When you can tell that the rest of your hiring team feels strongly about hiring a particular candidate, it can be hard to voice your disagreement. It’s even harder when the person arguing against or in favor of a candidate is the loudest or highest paid person in the room. Under these conditions, it’s common for dissenters to go along despite their personal convictions: a classic example of the bandwagon effect in action. This bandwagon effect produces a dangerous kind of hiring bias because it can cause even a diverse team to neutralize its judgments. Everyone brings a unique perspective to the table, but if the draw of consensus is too strong, detractors can end up putting their concerns to the side. Similarly, if everyone else is willing to reject a candidate, an interviewer who senses a bias might ignore that instinct to avoid offending the rest of the team. Make your team less vulnerable to the danger of “consensus” by avoiding talking to other interviewers before entering in your own feedback. Some applicant tracking systems will even allow you to block interviewers from viewing their colleagues’ feedback until after they’ve left their own. If you have an open discussion phase in your evaluation process, encourage people to defend candidates they want to hire and pose questions of those they don’t. Lastly, build a sense of psychological safety on your hiring team. If you want to make the best possible hiring decisions, everyone involved in evaluating candidates needs to feel safe speaking their mind. After you make a decision, it’s easy to credit that choice with any of the good that follows and ignore the consequences. This is called choice-supportive bias, and it can convince hiring teams that the hiring process is working better than it is. If you’re not taking a critical eye to your hiring process, you may not notice that you’ve missed a number of qualified candidates due to missteps in your process. Research has shown, for example, that women are more likely to read lists of required skills in job descriptions as absolute and skip applying if they don’t appear to be 100% qualified, so job descriptions that have too many minimum qualifications could be unintentionally weeding out qualified female candidates. You may miss this if your choice-supportive bias has convinced you that you’re making good decisions each time, even if the hiring process itself has problems. If hiring teams want to dramatically improve talent acquisition, they’ll need to be humble enough to use data and diverse perspectives in order to address problems or mistakes they’ve made in their process. Tools with reporting functions can help recruiters prioritize results over the desire to be right. If we think highly of ourselves, we’re more likely to assume that we make good, moral decisions. This logic is tantalizing, but it is, in fact, another bias called the moral credential effect. Yes, our desire to consider ourselves bias-free is potentially its own bias. Hiring teams must always be vigilant against unconscious biases and the conditions that make them more likely. Research has shown that we’re more likely to give ourselves license to indulge in a bad behavior (such as eating a burger or throwing away plastic) after doing something good (such as eating broccoli or recycling) (Simbrunner P., 2018). We might be at our most prone to bias right after we think we’ve beaten it. Remember that previous success doesn’t assume future success. The moral credential effect is the voice that tells you that you’ve done enough, but overcoming bias is possible only through continuous, renewed effort. Hiring teams must have regular discussions about members’ often unintentional tendency to favor some people over others. Without unconscious bias being a normal part of conversation, individuals are likely to remain shy about their concerns. Awareness training can help teams tease apart the many things that might distort their thinking. We are more likely to be biased when we’re hungry, tired, and stressed. Why? Because we tend to make decisions more quickly then — to get them over with — and quick thinking makes bias more likely. Simply being aware of this tendency can help hiring teams slow down, grab a snack, or delay major decisions until after a good night’s sleep. A standardized hiring process treats candidates similarly across resume screening, interview questions, work-sample tests, and more. Standardized processes help hiring teams to return to the most important criteria. The more standardized a process, the easier it is to identify gaps and problems, which enables hiring managers to improve the process long-term. Hiring teams that want to build a more inclusive hiring process need to be able to identify biases, reduce the conditions that encourage them, and build a hiring process that limits their intrusion. If team members invest a lot of time into a candidate, the sunk cost fallacy and bandwagon effect can make it doubly difficult for interviewers to voice their concerns. If an interviewer meets a candidate ready to confirm a suspicion that their resume inspired, the anchoring bias might make the concern harder to ignore. If a team puts a lot of effort into bias prevention across this list, they might be even more susceptible to the moral credential effect. Hiring teams are passing over candidates who would succeed, and outdated processes are excluding good candidates from even applying. Biases pose a special danger for hiring teams who consider diversity and inclusion a mission as well as a metric. To combat biases, hiring teams must be comfortable with humility and experimentation. Mistakes are unavoidable, but if hiring teams are willing to try new methods, and be critical of old ones, they can expand their talent pool, improve the candidate experience, and build a better team.